A grenade went off shortly after Prime Minister Abiy was done addressing a huge crowd of supporters in central Addis Ababa, killing at least two people and injuring dozens. The country’s leader sharply condemned the attack and vowed that the perpetrators won’t succeed in destabilizing Africa’s second-most populous state and its fastest-growing economy. It’s not yet known exactly what forces are responsible for what happened, but an educated inference would suggest that they’re political radicals fiercely opposed to Prime Minister Abiy’s whirlwind reforms of the past couple of months. Since assuming office in late March, the premier has done his utmost to calm tensions between the Oromo ethnic group that he’s a part of and the rest of their Ethiopian compatriots, thereby miraculously offsetting what had seemed to many observers to be an inevitable descent into an intensified civil conflict. Some of the signals that Prime Minister Abiy has sent, such as continuing to release what had officially been termed as “terrorist suspects” but internationally regarded by some as “political prisoners”, hint that he might be contemplating the actual “decentralization” of the nominal federation in order to give the country’s ethnically based administrative regions broader political rights. This in and of itself is thought to threaten the presumably disproportionate influence that the Tigrayan People’s Liberation Front (TPLF) wields over the rest of Ethiopia through its crucial political role in the post-civil war governing coalition of the Ethiopian People’s Revolutionary Democratic Front (EPRDF) and the heavy sway that it holds over the security services. With this in mind, Prime Minister Abiy’s surprise announcement earlier this month that Ethiopia will abide by a 2002 international court ruling and withdraw from the disputed town of Badme in the Tigray Region that was at the center of the 1998-2000 war with Eritrea must have certainly incensed some members of this “deep state” faction. 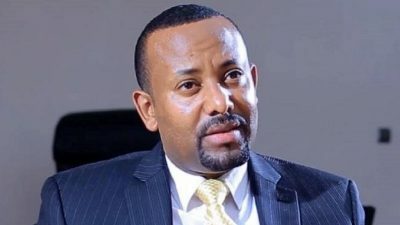 So as not to be misunderstood, all of the aforementioned is purely circumstantial, but when considering that Prime Minister Abiy’s policies challenge the entrenched interests of the TPLF, it’s natural to wonder whether a few of its most radical affiliates might have “gone rogue” and wanted to send him a message just like the institutional enemies of his fellow socio-political revolutionary Saudi Crown Prince Mohammed Bin Salman might have tried to do during the confusing events of late April that some people interpreted as a failed coup attempt. Whether in Ethiopia, Saudi Arabia, or even the US, visionary leaders appear to be under attack by their “deep state” foes, with the prevalence of high-level but largely unseen intra-state conflicts forming an inextricable part of the New Cold War.